Roxio Easy VHS to DVD makes it easy to transfer video from VHS tapes or analog camcorders to DVD. 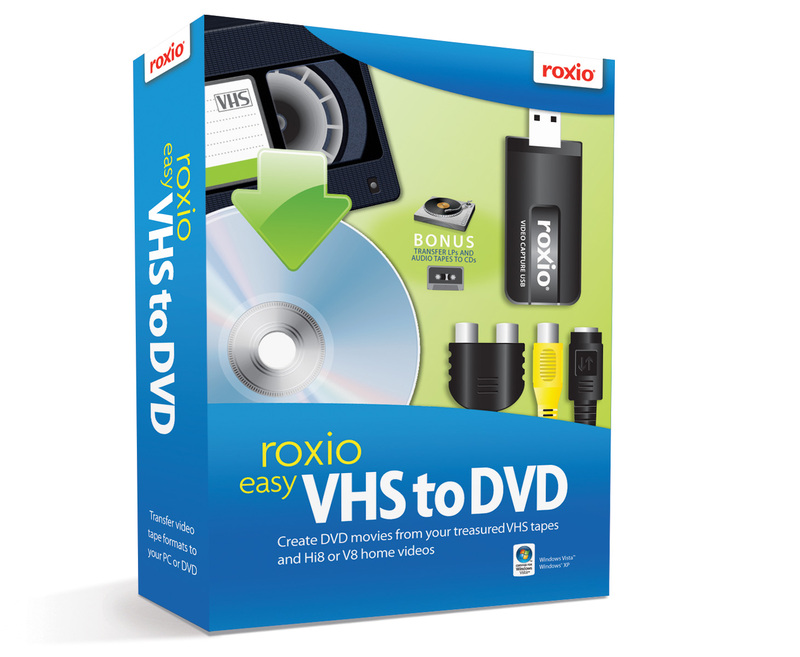 Easy VHS to DVD includes Roxio Video Capture USB device. Capture your VHS tape videos and burn them directly to DVD discs. Easy VHS to DVD supports most analog camcorders, VCRs, and even DVD players. Correct video quality, add transitions, add Hollywood-style menus and chapters. Then, share with family and friends on DVD or transfer your videos. Qweas is providing links to Roxio Easy VHS to DVD 2011 as a courtesy, and makes no representations regarding Roxio Easy VHS to DVD or any other applications or any information related thereto. Any questions, complaints or claims regarding this application Roxio Easy VHS to DVD 2011 must be directed to the appropriate software vendor. You may click the publisher link of Roxio Easy VHS to DVD on the top of this page to get more details about the vendor.